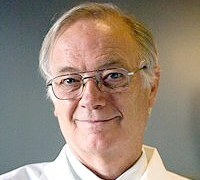 Donald M. Miller, M.D., Ph.D.
Kini A, Fu R, Compton C, Miller DM, Ramasubramanian A. Pembrolizumab for Recurrent Conjunctival Melanoma. JAMA Ophthalmol. 2017 Aug 1;135(8):891-892. doi: 10.1001/jamaophthalmol.2017.2279. PubMed PMID: 28715523. Deng Z, Rong Y, Teng Y, Mu J, Zhuang X, Tseng M, Samykutty A, Zhang L, Yan J, Miller D, Suttles J, Zhang HG. Broccoli-Derived Nanoparticle Inhibits Mouse Colitis by Activating Dendritic Cell AMP-Activated Protein Kinase. Mol Ther. 2017 Jul 5;25(7):1641-1654. doi: 10.1016/j.ymthe.2017.01.025. Epub 2017 Mar 6. PubMed PMID: 28274798; PubMed Central PMCID: PMC5498816. Teng Y, Ren Y, Hu X, Mu J, Samykutty A, Zhuang X, Deng Z, Kumar A, Zhang L, Merchant ML, Yan J, Miller DM, Zhang HG. MVP-mediated exosomal sorting of miR-193a promotes colon cancer progression. Nat Commun. 2017 Feb 17;8:14448. doi: 10.1038/ncomms14448. PubMed PMID: 28211508; PubMed Central PMCID: PMC5321731. Ratajczak MZ, Ratajczak J, Suszynska M, Miller DM, Kucia M, Shin DM. A Novel View of the Adult Stem Cell Compartment From the Perspective of a Quiescent Population of Very Small Embryonic-Like Stem Cells. Circ Res. 2017 Jan 6;120(1):166-178. doi: 10.1161/CIRCRESAHA.116.309362. Review. PubMed PMID: 28057792; PubMed Central PMCID: PMC5221475. Chariker JH, Miller DM, Rouchka EC. Computational Analysis of G-Quadruplex Forming Sequences across Chromosomes Reveals High Density Patterns Near the Terminal Ends. PLoS One. 2016 Oct 24;11(10):e0165101. doi: 10.1371/journal.pone.0165101. eCollection 2016. PubMed PMID: 27776185; PubMed Central PMCID: PMC5077116. Rezzoug F, Thomas SD, Rouchka EC, Miller DM. Discovery of a Family of Genomic Sequences Which Interact Specifically with the c-MYC Promoter to Regulate c-MYC Expression. PLoS One. 2016 Aug 23;11(8):e0161588. doi: 10.1371/journal.pone.0161588. eCollection 2016. PubMed PMID: 27551915; PubMed Central PMCID: PMC4995011. Zahin M, Joh J, Khanal S, Husk A, Mason H, Warzecha H, Ghim SJ, Miller DM, Matoba N, Jenson AB. Scalable Production of HPV16 L1 Protein and VLPs from Tobacco Leaves. PLoS One. 2016 Aug 12;11(8):e0160995. doi: 10.1371/journal.pone.0160995. eCollection 2016. PubMed PMID: 27518899; PubMed Central PMCID: PMC4982596. Zhang HG, Cao P, Teng Y, Hu X, Wang Q, Yeri AS, Zhuang X, Samykutty A, Mu J, Deng ZB, Zhang L, Mobley JA, Yan J, Van Keuren-Jensen K, Miller D. Isolation, identification, and characterization of novel nanovesicles. Oncotarget. 2016 Jul 5;7(27):41346-41362. doi: 10.18632/oncotarget.9325. PubMed PMID: 27191656; PubMed Central PMCID: PMC5173064. Deng ZB, Zhuang X, Ju S, Xiang X, Mu J, Liu Y, Jiang H, Zhang L, Mobley J, McClain C, Feng W, Grizzle W, Yan J, Miller D, Kronenberg M, Zhang HG. Correction: Exosome-like Nanoparticles from Intestinal Mucosal Cells Carry Prostaglandin E2 and Suppress Activation of Liver NKT Cells. J Immunol. 2016 Jun 1;196(11):4832. doi: 10.4049/jimmunol.1600479. PubMed PMID: 27207807. Teng Y, Mu J, Hu X, Samykutty A, Zhuang X, Deng Z, Zhang L, Cao P, Yan J, Miller D, Zhang HG. Grapefruit-derived nanovectors deliver miR-18a for treatment of liver metastasis of colon cancer by induction of M1 macrophages. Oncotarget. 2016 May 3;7(18):25683-97. doi: 10.18632/oncotarget.8361. PubMed PMID: 27028860; PubMed Central PMCID: PMC5041936.